Paint my Home in Littleton Colorado - Eco Paint, Inc.
in Littleton Colorado is a phrase most often used searching for a qualified, reliable and reputable painting contractor for the Littleton area. You've landed at the right place with Eco Paint, Inc. painting company. Denver's premier house painting contractor, Cal Phillips & Eco Paint, who employs only the best Denver painters, Denver and Littleton Colorado homeowners can choose. If you are painting yourself, or hiring house painting work out, Cal Phillips is your source for most answers to questions pertaining to interior and exterior house painting in Denver, Littleton and Colorado. Eco Paint house painting services is also painting homes locally in Arvada, Aurora, Boulder, Broomfield, Centennial, Castle Pines, Castle Rock, Colorado Springs, Highlands Ranch, Lakewood, Golden, Parker, Englewood, Evergreen, Greenwood Village, Sheridan, Thornton, Westminster, and Wheat Ridge. With each and every customer, Eco Paint insures Customer Satisfaction in its highest regard, coining the phrase back in 1977, "Customer Satisfaction is Our Main Concern", still just as important as it was over 30 years ago. Guarantying our workmanship for 4 years and before any money is exchanged, which is how confident we are with our craftsmanship. Treating each house painting job as if were our very own, making Eco Paint a community favorite for over 30 years. Always saving money where we can, the acronym "Eco Paint", invented by Cal Phillips back in 1993, way before Green Earth Friendly Eco Paint was available as a retail item, has both meanings today as Economical as well as Environmental and Ecological. Using the best interior and exterior painting products, ask us about Life-Time Warranty house painting jobs, now available. Whether you have questions related to interior painting, drywall textures, popcorn removal, wallpaper, or any fascists of exterior painting such as deck cleaning, deck staining, siding repairs, replacements, or Lead Abatement, Cal Phillips and Eco Paint will try answering them all. 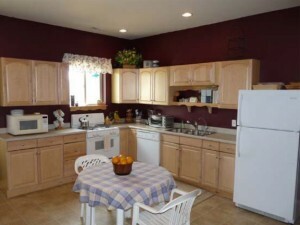 If looking to hire a house painting authority, contractors' house painters, painting interiors, exteriors in Littleton.